Date: Mar 1 2019, 4 p.m.
We provide the LEGOs, YOU provide the creativity! Join us the first Friday of every month for Lego Club! 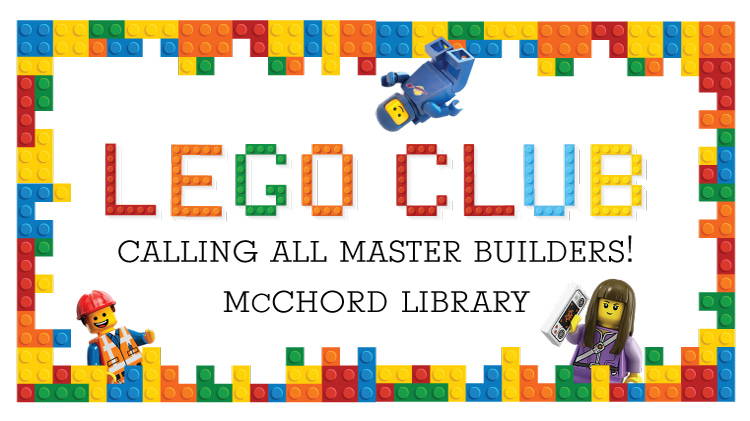 Enjoy free play and building with LEGOs at our monthly LEGO Club. For kids ages 3 and up! Please don't bring your own LEGOs! We have plenty of LEGOs for everyone to use. We have Duplos for our younger Master Builders! Please only register the child(ren) attending the event! Registration is required and begins one week prior.